Kojima On Nintendo Switch: "It's The Gamer's Dream"
Legendary game developer Hideo Kojima says that the Switch's hybrid nature is the precursor to true cloud gaming. At RTX Sydney this weekend, legendary video game developer Hideo Kojima spoke to IGN about his thoughts on the Nintendo Switch. The good news is that the Metal Gear Solid developer had nothing but praise for Nintendo's new machine, saying that "the fact you can play something at home and take it outside," is the "gamer's dream". He is particularly a fan of the console's hybrid nature. The system combines at-home and on-the-go elements, which is not unlike Kojima's own "Transfarring" concept for moving data between PlayStation Vita and PlayStation 3. "I believe [Switch] is an extension of that idea," he said. "The fact you can play something at home and take it outside, this is the gamer's dream. The Switch is an evolution of that." Kojima added that he thinks cloud technology will eventually be the future of gaming, though he admits that the technology isn't quite there yet. "It's further behind right now than I think where people thought it would be at this point, but I think it will go there, and when the infrastructure is ready, you'll be able to play everything, on every device, anywhere. The Switch is the predecessor to this step." Kojima is currently working on PS4 exclusive Death Stranding. 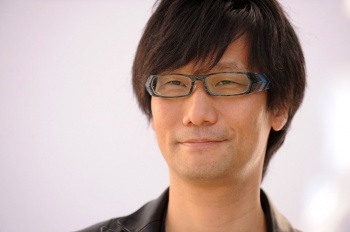 Despite his praise for the Switch, he neglected to comment on whether his studio, Kojima Productions, would be developing any titles for the system.